I can’t help but tell my students a story when it comes to this lesson about this time someone interviewed for a job at a place I worked wearing a pencil skirt, five inch heels, and a leopard printed sheer blouse that showed off her hot pink bra straps. My head still shakes thinking that this poor girl thought that it was an appropriate interview outfit. If only she had taken my class! This lesson is to help students prepare their interview and resume writing skills. If you’re looking for more on dressing for an interview take a look at this lesson. 1.2.2 Demonstrate job seeking and job keeping skills. 1.2.5 Analyze strategies to manage the effects of changing technologies in workplace settings. There are so many good resources out there that I find it unnecessary to reinvent the wheel. 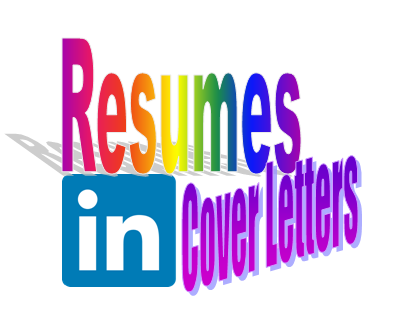 See the links section for rubrics, resume and cover letter instructions. Pair students and have them practice answering the common interview questions to each other. For homework have each student write out their formal answers to each question to be graded. If class time allows have each student start writing out their resume. Go over the creating a resume handout and give examples on the SMART Board. It is best to have the class collectively write a resume with you, going through the steps. Use local businesses, volunteer activities and jobs students have had for examples. Have each student create a Linkedin profile and send you a link. Use the Youtube video above for recommendations. Grade interview questions and resume. Make comments and return to students. Have students present their LinkedIn profiles to the class. Have the class give general feedback. Have students create a cover letter for a job they find in the classifieds like Indeed.com, Monster.com, or your local paper. Is anyone else having problems with the attachments/ Links? The first three links, Common Interview questions, creating a resume, and writing a cover letter no longer work. I am very interested in putting this lesson to use in one of my current classes. Thank you for letting me know. The initial resources were no longer available, but I did update with similar resources.